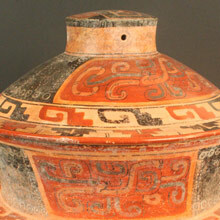 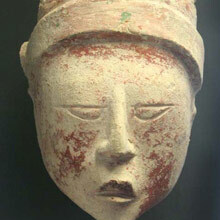 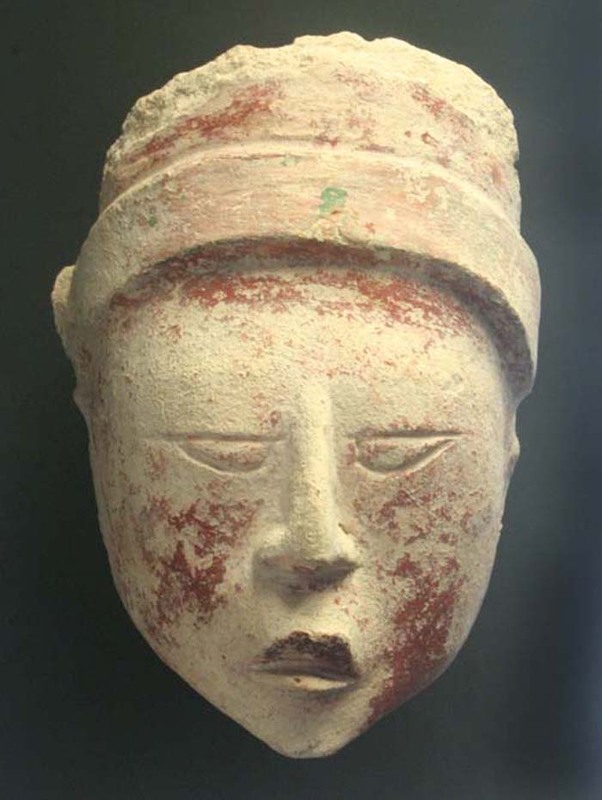 Images of human faces were common in Mesoamerica, although rarely did these depict specific, identifiable persons. 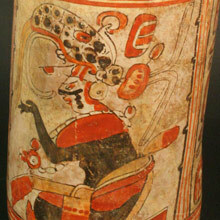 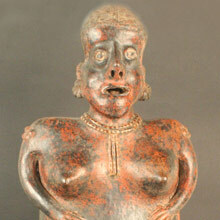 Some of them were masks of shamanic ecstasy, while others combined human and feline features. 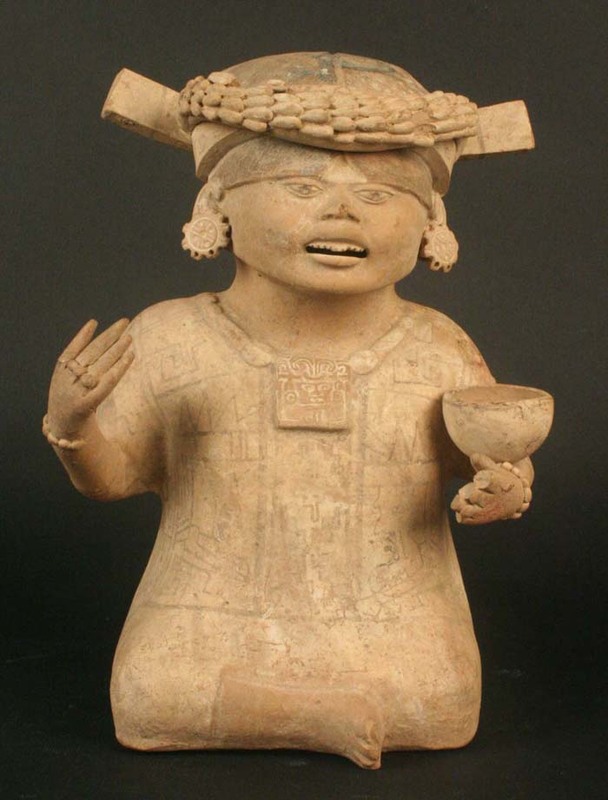 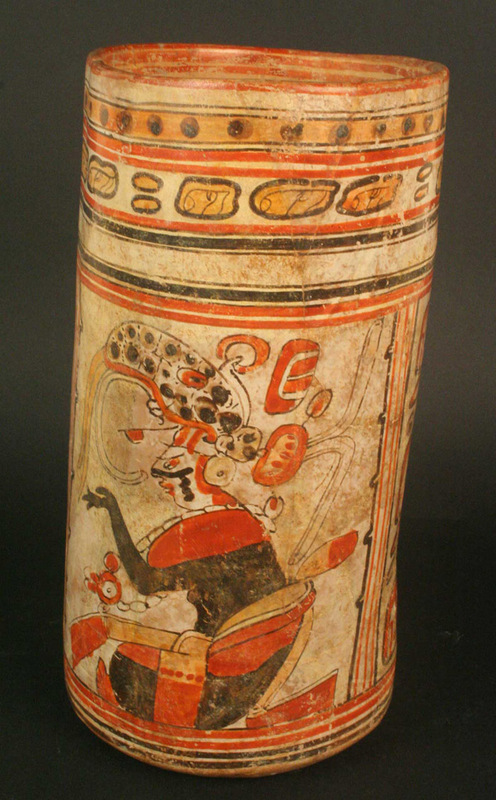 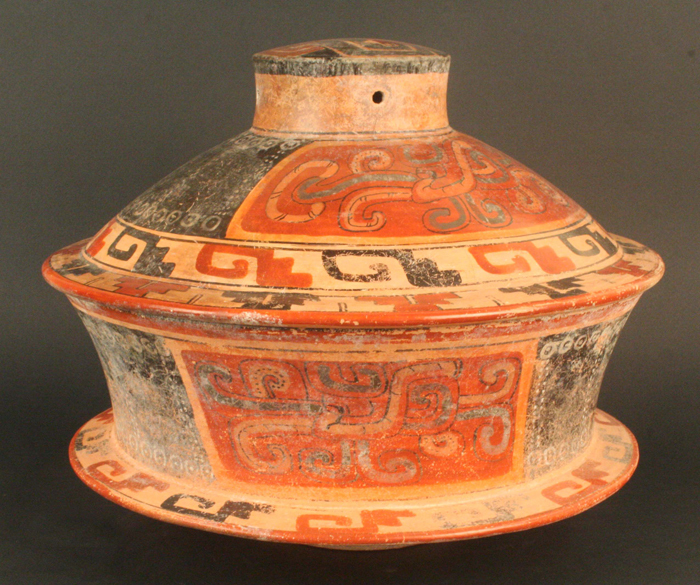 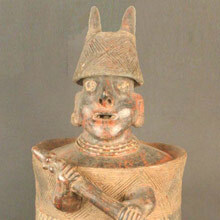 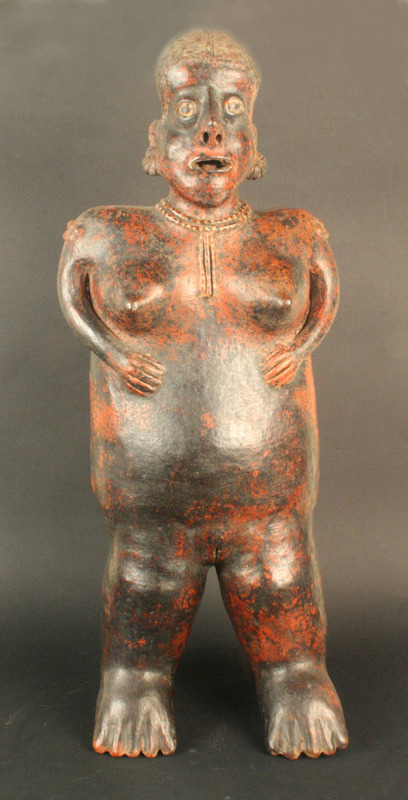 A number of Mesoamerican cultures placed great importance on the symbolic value of faces as sacred images, and they were often included in votive offerings. 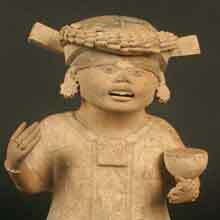 Clásico Tardío 600- 900 d.C.
Preclásico 300 - 600 d.C.